Recently, a friend of mine sent me this recipe.It sounded pretty interesting to me because grapefruit and basil are about my two favorite flavors and I will try them about any way I can. I had a hard time finding the basil simple syrup locally, but I found a recipe for it which is better for me because I grow basil in my pallet garden! 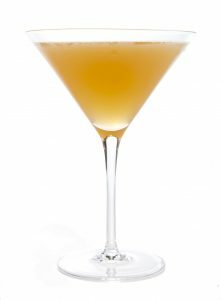 While I was solving my basil simple syrup problem, I googled “Gypsy Wife Cocktail” and found dozens of recipes with variations on the name – Sweet Gypsy, Gypsy Queen, Gypsy Woman and even a Tipsy Gypsy. They were all different mostly in what kinds of liqueurs they included and one even uses Gin! I am told if you don’t have limes or lime juice, just double up on the St. Germain and it is all good. My friend suggested the name for this lime-less version,“Robbed Gypsy Wife”. To make the Basil Simple Syrup, add all the ingredients into a small sauce pan. Stirring constantly, bring the mixture to a boil and cook until the sugar is melted then adjust heat to just simmer for 1 minute. Remove from heat and let the basil leaves steep in the mixture for 30 minutes. Pour the mixture through a strainer to remove leaves. Store in a sterile glass jar. Add all Gypsy Wife ingredients into a shaker with lots of ice, cap and shake until mixed and ice cold. Pour your Gypsy Wife into Martini glass without ice or on the the rocks in a tumbler. Garnish with basil leaves you want to make it pretty.